Stream hydrology: an introduction for ecologists. Artist/Author: Gordon, Nancy, McMahon, Thomas A., Finlayson, Brian L., Gippel, Christopher J., Nathan, Rory J. This title is not held in stock but we are happy to supply on special order. Please contact us. Since the publication of the first edition (1994) there have been rapid developments in the application of hydrology, geomorphology and ecology to stream management. In particular, growth has occurred in the areas of stream rehabilitation and the evaluation of environmental flow needs. The concept of stream health has been adopted as a way of assessing stream resources and setting management goals. 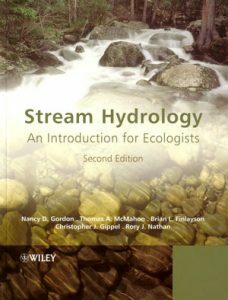 Stream Hydrology: An Introduction for Ecologists Second Edition documents recent research and practice in these areas. Chapters provide information on sampling, field techniques, stream analysis, the hydrodynamics of moving water, channel form, sediment transport and commonly used statistical methods such as flow duration and flood frequency analysis., Methods are presented from engineering hydrology, fluvial geomorphology and hydraulics with examples of their biological implications. This book demonstrates how these fields are linked and utilised in modern, scientific river management. Emphasis on applications, from collecting and analysing field measurements to using data and tools in stream management. Updated to include new sections on environmental flows, rehabilitation, measuring stream health and stream classification. Critical reviews of the successes and failures of implementation. Revised and updated windows-based AQUAPAK software. This book is essential reading for 2 nd /3 rd year undergraduates and postgraduates of hydrology, stream ecology and fisheries science in Departments of Physical Geography, Biology, Environmental Science, Landscape Ecology, Environmental Engineering and Limnology., It would be valuable reading for professionals working in stream ecology, fisheries science and habitat management, environmental consultants and engineers. This title is not held in stock but we are happy to supply on special order. Please contact us. Almost half the world is comprised of desert or dryland regions. Life in these harsh environments depends upon spectacular rivers that are constantly changing between states of flood and drought, but compared to the other rivers of the world, our knowledge of their ecology is limited. 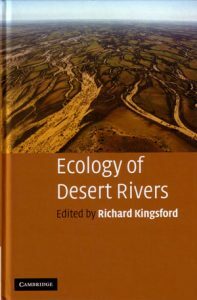 Ecology of desert rivers provides a comprehensive account of the variable ecology of these areas and how they determine the behaviour and composition of the organisms that survive in this ‘boom and bust’ environment. It also covers how human interventions such as the creation of dams affect desert rivers and the animals and plants that depend on them for survival. 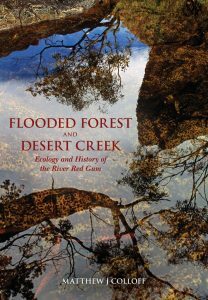 This book provides an up-to-date synthesis of all aspects of desert river ecology and will appeal to researchers and students in ecology, hydrology and geomorphology as well as conservation managers and policy-makers. 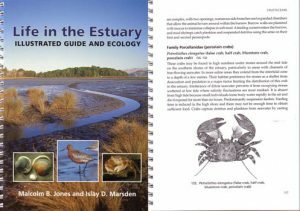 Life in the estuary: illustrated guide and ecology. Artist/Author: Jones, Malcom B. and Islay D. Marsden. This guide to the estuarine environment describes the dominant organisms and their ecology. Focuses on Avon-Heathcote Estuary, Christchurch, New Zealand. River and stream ecosystems of the world. Artist/Author: Cushing, Colbert E. et al, editors. 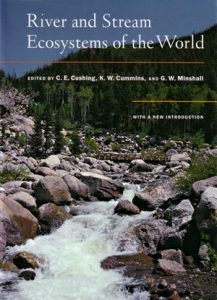 This valuable sourcebook, now available to a wide audience in a paperback edition, is an important comparative documentation of what is being lost: naturally flowing river and stream ecosystems. 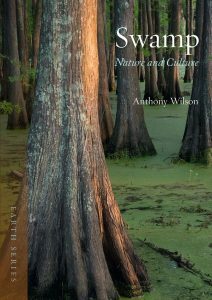 No other single volume brings together so much critical information on rivers and streams worldwide. Each chapter is packed with a wealth of raw data on waterways including the prominent rivers of North America, Central and South America, Europe, Africa, Australia, and Oceania. The volume evaluates the usefulness of the River Continuum Concept and ecosystem-level measurements for evaluating the structure and function of rivers and streams. The new introductory chapter examines the relevance of other useful concepts including Nutrient Spiraling, Patch Dynamics, the Flood Pulse Concept, the Network Dynamics Hypothesis, and the Hyporheic Corridor Concept.